Sierra Leone Freetown - Everything we earn goes back into the community. But it is not so much money. 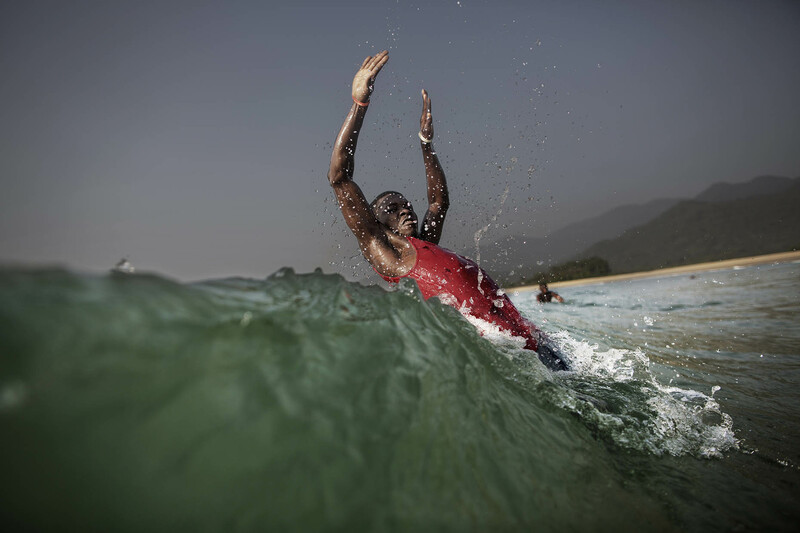 Almost no tourists come here, says Jahbez Benga, who with buddies started a surf club at Bureh beach outside Freetown. The local heros in Sierra Leone have been fighting the Ebola-virus for a year now. Since the outbreak of Ebola in the country in May 2014, more than 100 health workers and 11 of the country's doctors (out of 120 doctors) have died. A total of approximately 3.500 people have died because of the Ebola-virus. The number of cases has been falling steadly, and the daily life is about to return to normal, with fewer restrictions on trade, border-crossing and gatherings.